Jayson Seidman tapped into his own experiences as a traveler for inspiration when opening The Drifter in New Orleans. 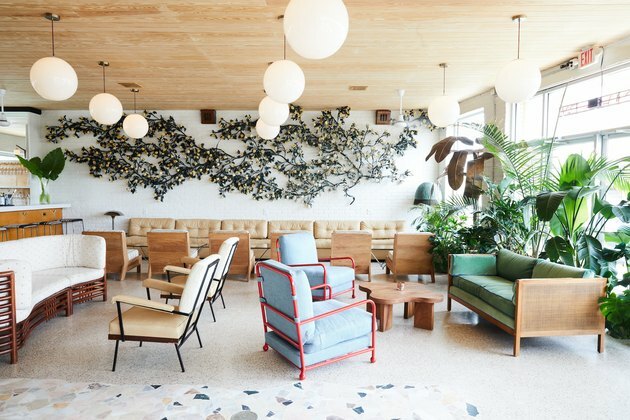 While his design aesthetic was already recognized with Boro Hotel in Queens, New York, and the former Lords Hotel in Miami Beach, Florida, this retro-tinged swim club embodies his heart and soul. 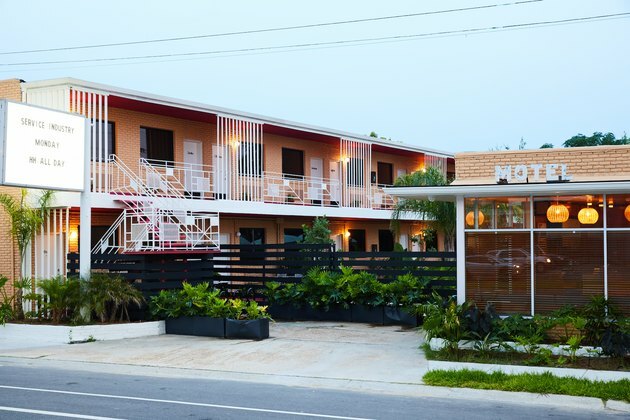 One place that inspired Seidman in making over this 1956 motel in the city's Mid City area was Japan. (Yes, we know the hotel is in New Orleans — stay with us here.) "Ranging from the back streets of Tokyo to the ryokans of Kyoto, and the mountain hot spring of Hakone," he explains, "discovering places that have balanced design that is not specific to one particular decade and transcends time and place is key to my inspiration." That influence is evident in hallmarks of tropical design, such as palm-motif wallpaper and bamboo lamp shades in the lobby bar, plus tropical foliage out front that creates a curtain between the street and the property. 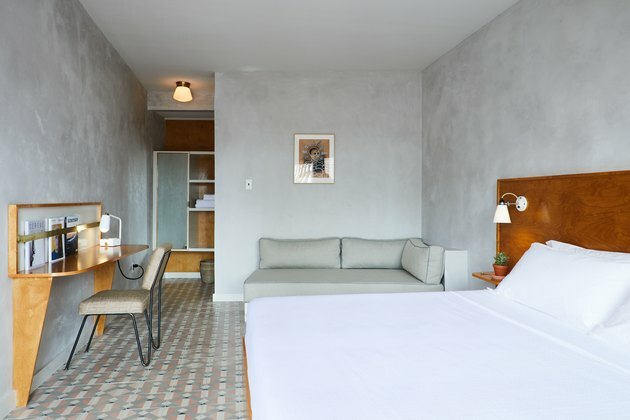 Minimalist design is trending everywhere at hotels, not just at The Drifter and Seidman explains why: "The headspace of an individual arriving by train, plane or automobile is often chaotic and draining," says Seidman. "So we believe the design should be calming and almost therapeutic, not too visually distracting." "We used a neutral color palette with tropical landscaping [for the exterior]," says Seidman, "to create a stealthy and unassuming property." 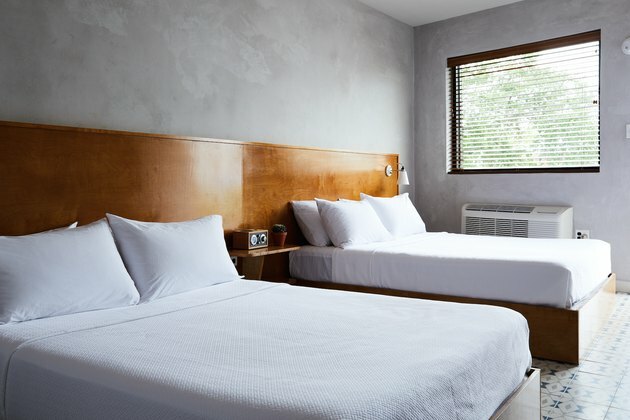 A full architectural restoration brought the sagging motel back to its original condition, also honoring the period when this section of Highway 61 was known as The Blues Highway, which locals remember well. A palm-motif mural wallpaper in very vivid colors (painted by Alexandra Kilburn), minty-green cabinet doors, and mosaic-patterned floor tile provide a curated look. Bamboo light fixtures might have been used in the 1950s, but have timeless appeal. 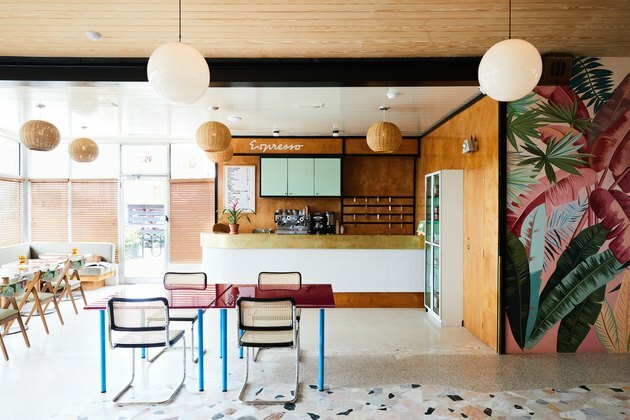 Formica tables in the dining are definite midcentury relics. Many pieces in the hotel, including the lobby's chairs, were custom-designed by Mexashop in Guadalajara, Mexico. While there's no restaurant, there's a definite chill spot in the lobby with orb-style light fixtures, light woods that recall midcentury-modern design, and hues from that period, too (bright red, robin's-egg blue and grassy green). Carlton Scott Sturgill upcycled Ralph Lauren dress shirts to create "The Wall of Roses" art installation. A honeyed hue in the wooden headboard and classic sconces for reading in bed are joined by a tiny cactus plant on the nightstand and crisp white bed linens. Butch Anthony's artwork hangs in the rooms, which feature heather-gray walls with a marbled effect. 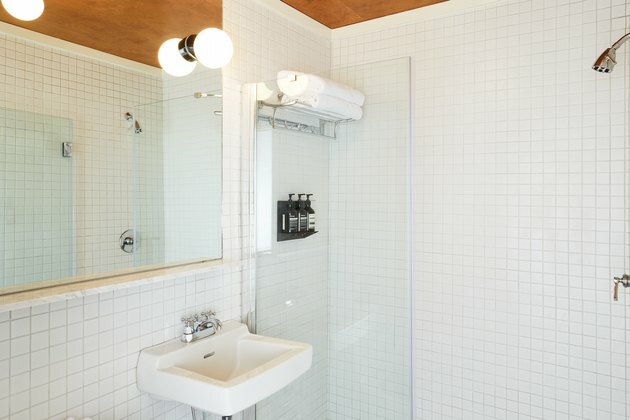 Not that radically different from old-school motels — but, thankfully, a whole lot cleaner — small white square tiles, chrome fixtures, and a pedestal sink are in each room's bath. 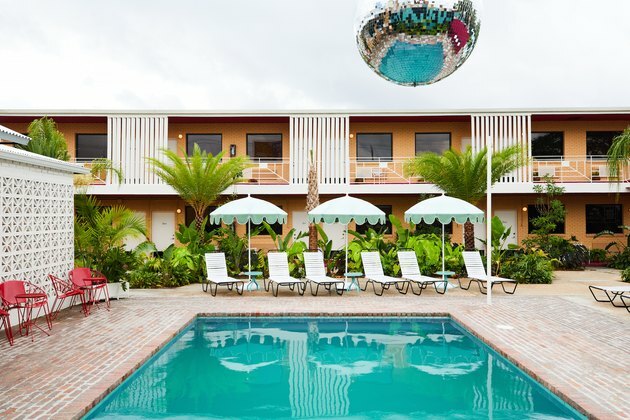 There was an intentional effort to channel the bygone era of swim clubs with red Acapulco-like chairs, turquoise metal side-tables, and mint-green cloth umbrellas, all of which could have been at this motel back in the 1950s. A huge glittering disco ball keeps the vibe fun.